Garage sale season has begun in DuPage County! Get out there and find some deals this weekend! Check back each Thursday throughout the summer as we update our lists of garage sales, moving sales, and estate sales in DuPage County. 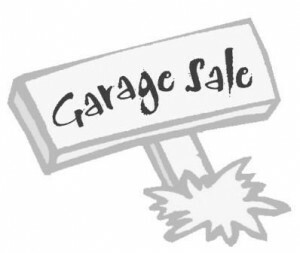 Stonehedge Subdivision in Wheaton is having their Annual Spring Garage Sale on May 13, 14 from 9am-3pm. Enter at Butterfield & Cromwell or from Orchard Road.